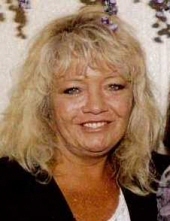 Carey Shiverdecker, age 61, of Republic, Missouri, passed away on Wednesday, February 6, 2019. She was born on March 12, 1957 in Fulton, Missouri, the daughter of Wade and Mary (Deloney) Shiverdecker, who both preceded Carey in death. She graduated from Chillicothe High School in 1974 and lived/worked the majority of her life in the Kansas City area. She recently moved to Republic to be closer to family. Survivors include her sister/brother-in-law, Patty (Shiverdecker)/Ken Fields of Republic; three nephews, Kenny, Brian, and Tony (Megan) Fields; a niece, Jennifer Richards (Steve Burgher); and 14 great nieces and nephews are among other extended family. Please come join the family for a Celebration of her Life on Sunday, February 17, 2019, from 3-5 pm, at 86 East Calico Lane, Fair Grove, Missouri. To send flowers or a remembrance gift to the family of CAREY SHIVERDECKER, please visit our Tribute Store. "Email Address" would like to share the life celebration of CAREY SHIVERDECKER. Click on the "link" to go to share a favorite memory or leave a condolence message for the family.